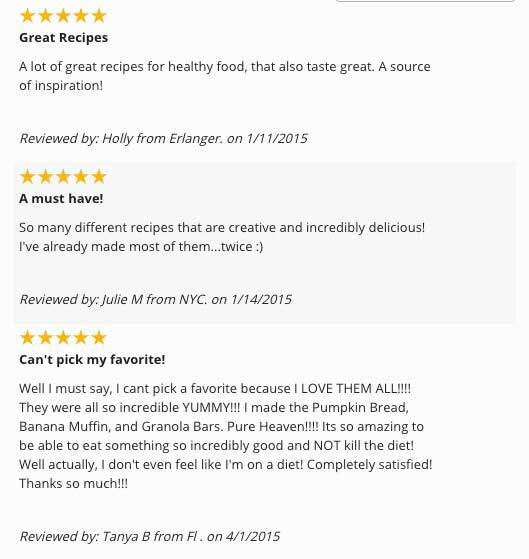 Get my best recipes with protein powder today! Can you really cook & bake with protein powder? The short answer is YES! You really can cook with protein powder and it can be the perfect substitute for flour if you know how to put the recipe together right. With the FITBODY "I Can Eat That?" 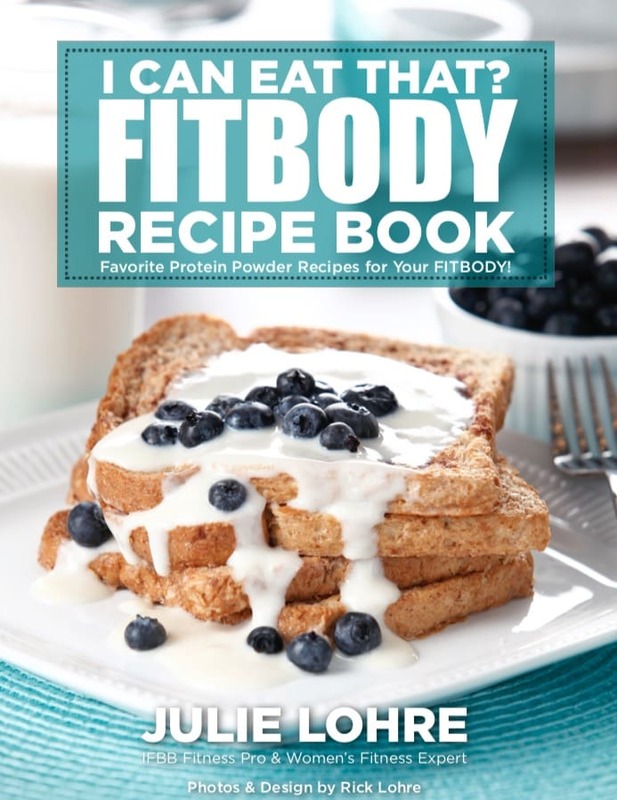 Recipe Book you will find the best way to include protein powder in a variety of recipes to make clean eating simple and tasty! I am sooo tired of protein shakes! I want to eat my food! I do love the convenience of protein shakes, but let's be honest, there are times when I want to actually EAT my food, not just drink it. That is where my best recipes with protein powder come in handy! With each recipe you will be making real, delicious food. The kind of food that makes you excited to have taste buds! I am trying to lose weight. Can I still eat these desserts? YES! If you are like me, then one of the toughest parts of eating healthy and losing weight is feeling deprived. I have good news! 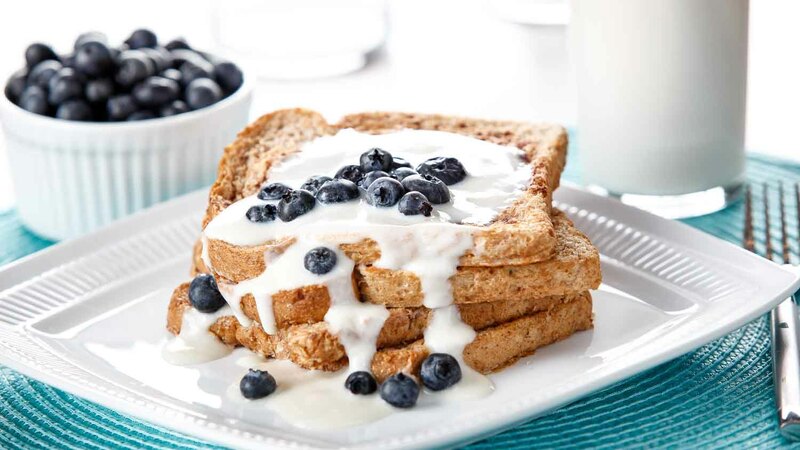 Those old time favorites like French Toast and Peanut Butter Cookies CAN be a part of your weight loss plan. You just have to modify them and include the right protein powder substitutions! Let me show you how! 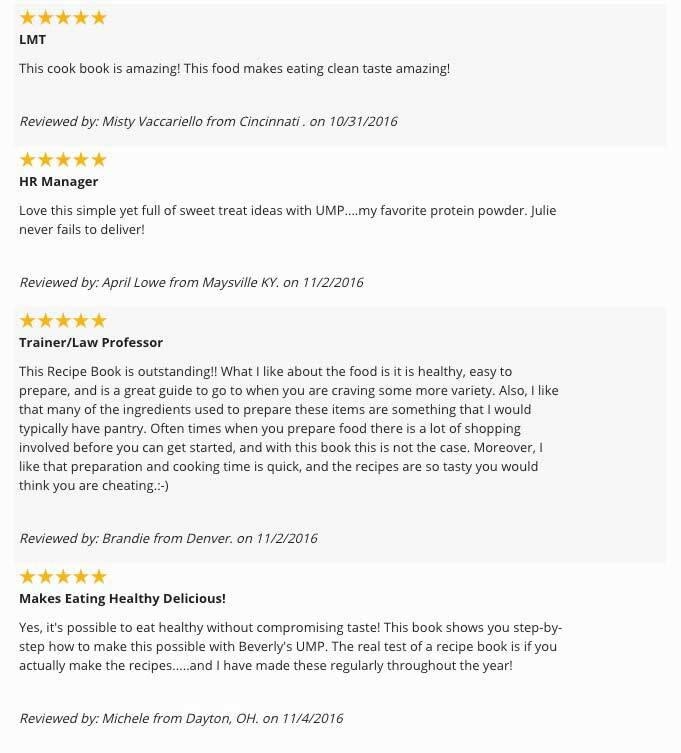 Why did I create the best recipes with protein powder? Let's start from the beginning. In my family, fresh baked treats were always a way that grandma would show her love. Walking into her house with the smell of fresh baked muffins spilling out of the kitchen... even today as a grown woman I feel a warm glow just thinking about the care she put into each recipe. These days, I have to balance my love for sweets with my desire for a fit body. I love food and it is important to me that I eat healthy without compromising on taste! The good news... you can have it both ways! 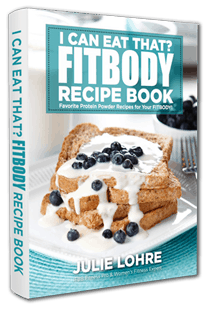 After years of experimenting, I have collected my very favorite recipes with protein powder and put them together in my FITBODY I Can Eat That? Recipe Book for women just like you. So you can eat clean and still have those amazing sweets! I am so excited to share all of my experimenting with you! 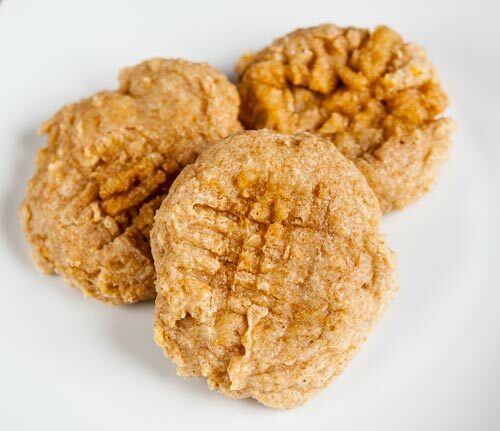 These delectable peanut butter protein cookies take me straight back to when I was a little girl making cookies with my grandmother. She would pull a step stool up to the counter and I would climb up next to her. My job was always to spoon out the peanut butter and mix it carefully in with the rest of the dough. Afterwards, I would get to lick the peanut butter spoon clean as she lovingly put the finishing touches on the cookies, using a fork to press the trademark cross hatch pattern on the top of each cookie. 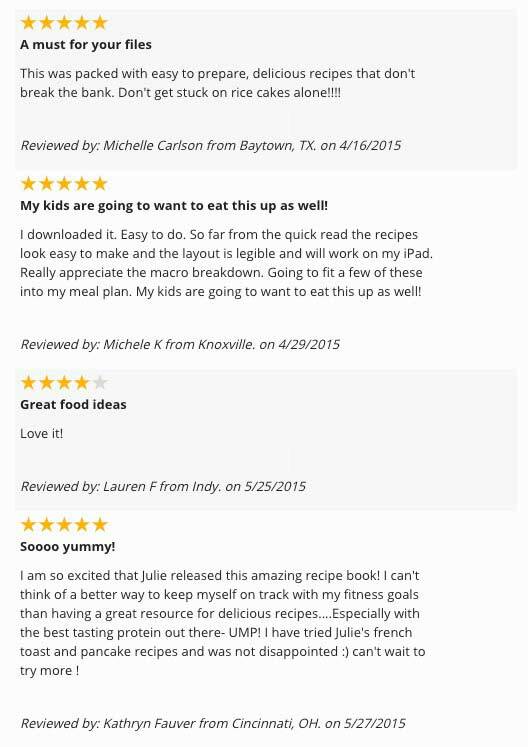 Get the recipe FREE in my book! 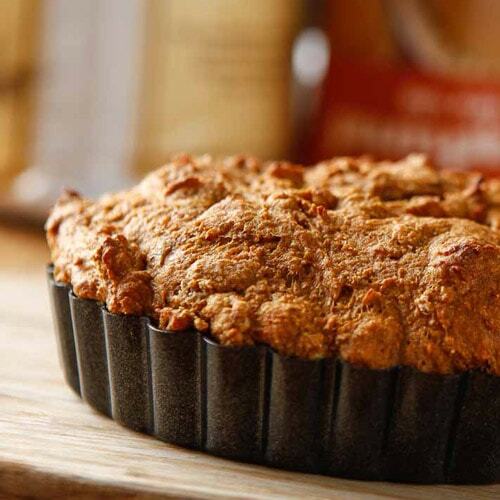 Looking for an incredibly simple protein muffin recipe perfect for breakfast on the go? Isn't there just something about pulling the top off of a warm muffin on a cool morning that makes everything better? Nothing better than to curl up with a steaming hot mug of coffee and a muffin before getting the day started. Check out these awesome simple protein muffins!